After the Parkland school shooting, Florida lawmakers passed a bill to spend millions for mental health services in schools. TAMPA, Fla. — Less than one month after the shooting at Marjory Stoneman Douglas Senior High on Valentine’s Day, Florida lawmakers approved more than $69 million dollars to schools, earmarked for mental health. “This was the first time that was ever done,” said Senator Kathleen Passidomo (R) of Naples. The law stipulated few rules on how school districts could use the money. School districts had to submit a mental health plan to the state and at least 90% of the money needed to be spent on evidence-based mental health care to students, according to the law. But with 67 school districts around the state, “there’s many different ways you can interpret it,” said Dr. Mike Desjardins, Executive Director of Student Support for the Charlotte County school district. 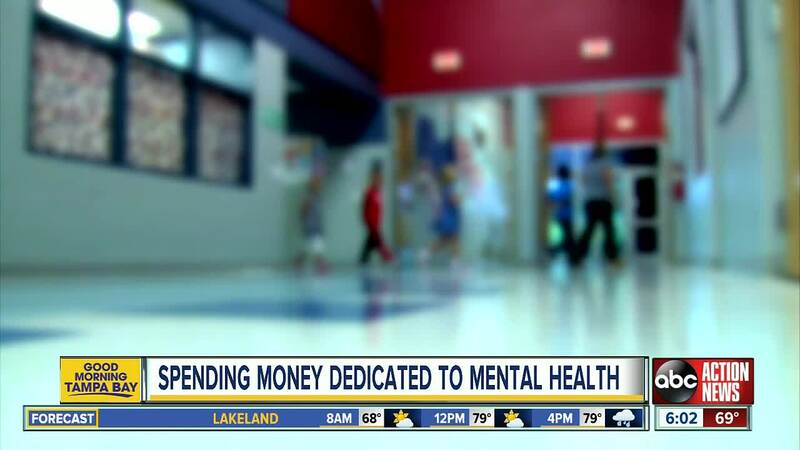 The Charlotte County school district was allocated one of the smallest amounts- just over $400,000 in state mental health funds to improve it’s mental health services. Roughly half the money has already been spent on new mental health hires, said Desjardins. “For the first time in a long time we have a full time social worker at all of our high schools,” said Desjardins who worked with the Superintendent to determine how to spend the district’s portion of the funds. But Dr. Desjardins also says deciding how to spend the money has been challenging since the law didn’t provide much guidance on how to use it. “You don’t want to make a mistake by accident and get gigged on it. You want to make sure you’re spending the money the way the lawmakers intended.” When asked what he believed could be construed as an incorrect way of spending the money, Dr. Desjardins replied, “It was crystal clear in the bill that you’re supposed to provide direct services to students. Incorrect is using the money to go on trips, buying furniture for your office, hiring personnel that could be deemed not mental health related,” he said. Records reveal other school districts have used a portion of its funds to hire clerical staff, including a “confidential” secretary to handle student mental health records. 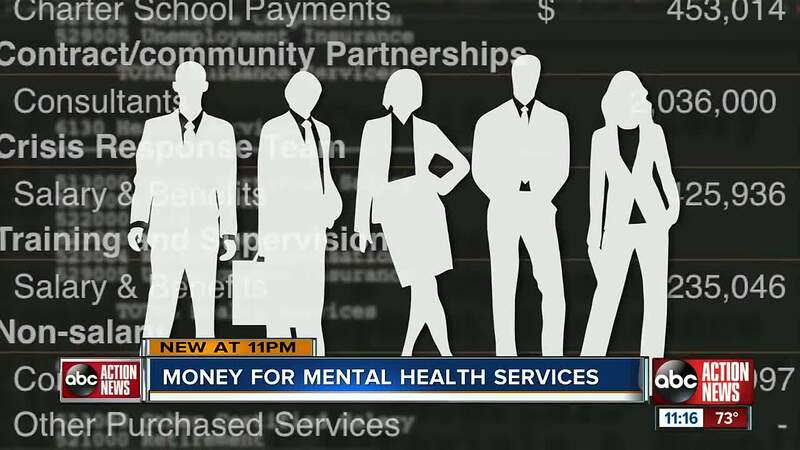 Since November, we've asked nearly two dozen school districts around the state for details on how those districts have spent the new mental health funds allocated as part of the Marjory Stoneman Douglas Public Safety Act. We asked for budget line reports and receipts for purchases made with the money. All the districts we contacted have used the majority of its funding so far hiring new mental health professionals and conducting mental health training. Other expenses we found range from travel and gas to supplies including copy paper and computers. One district used its mental health funding to purchase 20 new laptop computers for just over $16,000. “We didn’t tell them how to spend it,” said Florida Senator Passidomo. She helped push lawmakers to approve the money last spring. “What we said was you know what the needs are in your community. All we’d like you to do is to create a plan,” she explained. Those plans needed to be submitted by each school district a few weeks after the new school year began in the fall. But FL Representative Byron Donalds sees the need to clarify the spending rules in the future. “It’s always interesting when districts have money at their disposal, what they do,” he said. “We may have to either retool, tighten up, maybe expand but we want to make sure schools are getting the best bang for your buck,” he said. And making sure money to help students in crisis is being used to do just that.